Simon also helps Maia in being Luke’s second and dishing out marching orders to the rest of the pack and they definitely set themselves on the path to dating (a path I kind of thought the were already on though I do like the conversation about how dating feels too mundane for such weird lives). But Clary shows up and interrupts because Clary. She wants Simon to intercede with the Seelie queen because she thinks her taunting her about him is actually meaningful while I think this show is way to obsessed with Clary’s romances when the world hangs in the balance. Hey has anyone checked the credentials of these angels? Clary, Jace, Alec and Izzy go hunting. First they find the body of the real Sebastian (which is briefly possessed and properly stabbed) and then Clary and Jace use shirtless rune flirting woo-woo to find Sebastian (Jace thanks Alec for not asking about his relationship with Clary. I personally find this hilarious because at no point has Alec expressed even the slightest interest in Clary and Jace getting it on. He’s not respecting your privacy, Jace, he doesn’t care. Also you’re currently hunting your demon half-brother - priorities). 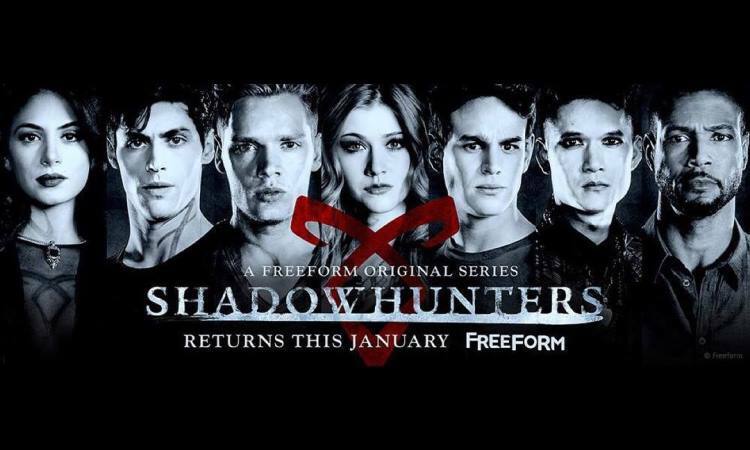 While Clary and Alec fight Forsaken, innocent humans, Jace is captured by Jonathan who has a bad case of Supervillain disease and keeps expositioning rather than killing Jace. Seriously he had a chain around his neck and decided to let him go so they could stab each other instead. Izzie with the electrum whip also joins in, saving Jace, because she has a super grudge against the man who helped her come off drugs. Unfortunately while Jonathan hates electrum, he’s also pretty immune to pain and whips are super super super useless weapons. Really. This is why heroes win. Heroes quip, bad guys monologue. Simone does agree with Clary to speak to the now older Seelie Queen and she seems to be quite happy with the prospect of Downworlders rebelling against their cruel masters, the Clave. Simon tells her no when she tries to recruit him and she is most put out by someone telling her no. This is not going to be good. Or sensible.